With the temperatures reaching the mid 80’s this early at the start of Spring, I can only imagine what Houston has in store for us this Summer. And not just Houston. Many places around the globe have been experiencing unusual weather patterns for quite some time now. Hmmm…..I wonder what could be the cause all these unusual weather patterns. But I digress, that’s a post for another day and I’ll just leave that one there for you to ponder. So back to the topic at hand! When temperatures increase and reach all time highs, it’s important that we keep our bodies cool and from overheating by properly staying hydrated. So what’s the best form of hydration you ask? You guessed it….water! I don’t know about you but I LOVE water. It’s basically all I ever drink. And while I love it, I know there’s a lot of people who despise the taste (or lack thereof) and don’t find it so appealing. So I thought I’d share with you some of my favorite, simple tips I provide to my clients that help to increase their water intake by 80%! That’s right! So if you’re struggling with your water consumption, keep reading and start implementing these simple tips that will keep you healthy and hydrated. So you may be wondering, why water is so important and why you should be so concerned about increasing your intake? First and foremost, water is LIFE. Without it, we can’t exist and as previously stated, water is our natural cooling system that helps to keep our bodies cool and hydrated. We as humans are made up of over 50% of water so it makes perfect sense that we should be getting our fair share of this wonderful compound. Water aids in removing toxins from our bodies and our organs, tissues and cells all need water to perform properly. When your body doesn’t receive sufficient amounts, you’re more likely to suffer from fatigue, headaches, dizziness and more. So it’s vitally important that we strive to consume more water on a daily basis so our body can function at its optimal level. After a good night sleep (I hope you all are getting the recommended 7-8 hours a night right…), our body has basically undergone a fast. Meaning it hasn’t received any nutrients for an extended period of time. When we sleep, our body is naturally healing and rebuilding itself which is why it’s important that we get enough rest. One of the best thing we can do upon waking up is to assist our body in this rebuilding process by revitalizing it, our cells and mind with a refreshing glass of water. Having something as essential as water as the first thing your body receives at the start of your day sets the tone and prepares your body to work at its optimal level. So start making it a habit to have a glass of water as soon as you wake up. Doing so will increase your daily consumption which is exactly what we want. So if you’ve never had Spa Water, try it out! It’s a fun way to stay cool and hydrated on a hot sunny day while getting some key nutrients. There’s no right or wrong way and the rule of thumb is just to experiment and see what your taste buds like. One of my favorite ways to add a little variety to my water intake is by drinking sparkling water. Sparkling water is great for those who have a soda addiction because it has the bubbles and fizz of a soda but without all the deadly additives and chemicals. Did you know that a can of soda can clean rust from a car and can clean your toilet?? So then why would you want to drink something that’s so detrimental to your digestive track as well as the rest of your body? You don’t. So do your insides a favor and skip the soda and give sparkling water a try. Natural sparkling water with no additives and that just reads carbonated water under the ingredients is what you want to look for. I also like to add a fresh squeeze of lemon or lime to mine to give it a spritzer feel that taste delicious. 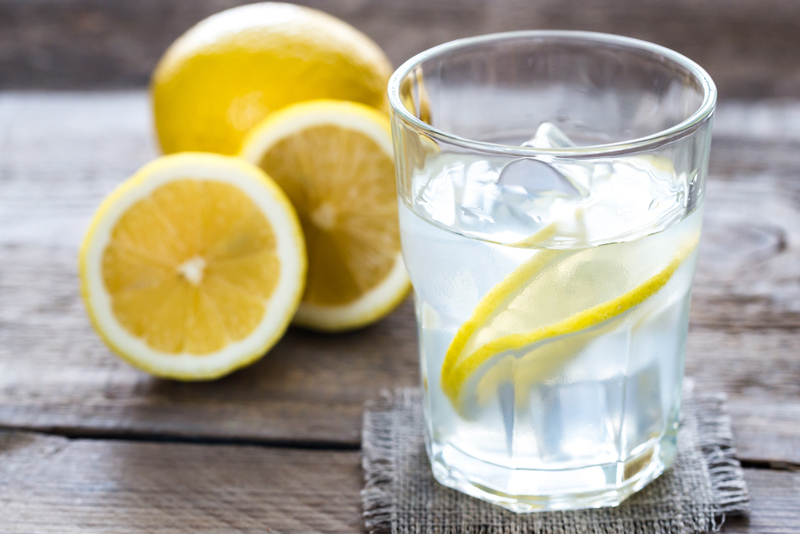 All of these are great, simple and easy ways to increase your water intake on a daily basis. Now be good to your body and go drink up! If you’ve been struggling and need help reaching your health and nutrition goals and want to change your relationship with the food and beverages you consume, contact me and schedule a consultation today! Together we can create a personalized program that suits your unique body, lifestyle and goals. ?